Most anaerobic digestion plant owners consider their digestate (i. e. the solid and liquid AD Plant output) to be no more useful than for spreading on their fields, so here are 16 real uses for Biogas Digestate reported by WRAP. Some, such as food waste AD plant operators, may actually see it as a liability. But, when regulatory compliance and marketing are done right, biogas digestate has far more uses than you ever imagined. Market a product for some of these uses for biogas digestate, and we think that there is a BIG potential for profit. So, keep reading (or watch the video below) this, and tell us if at the end, if you don’t then agree that biogas digestate is exciting! Now watch Part 2 of our article/ our second video below, for 8 even more surprising, potential uses for Biogas Digestate. A number of multi-purpose garden composts are available. Composts produced from separated digestate fibre would provide a use for biogas digestate, which is a similar source of stabilised organic matter suitable for improving soil properties. If mixed with woodchips, sawdust or straw the C:N ratio could be optimised, and replace the use of unsustainable peat-based media. However, some supplementing with added P and K, may be needed. Digestate fibre courtesy Aikan Technology, via YouTube Creative Commons Licence. Co-composted separated fibre would provide an excellent source of organic matter to use in manufactured soils for landscaping and is the second of our uses for biogas digestate. PAS100 green compost is used for mulching of apple trees. Therefore, composted separated fibre from digestate could be used for a similar purpose. The use of compost teas in the production of a wide range crops has become popular in the UK. This involves use of a ‘broth’ of microorganisms such as fungi, nematodes, bacteria and protozoa to improve soil ecology and hence soil health, productivity and plant health. 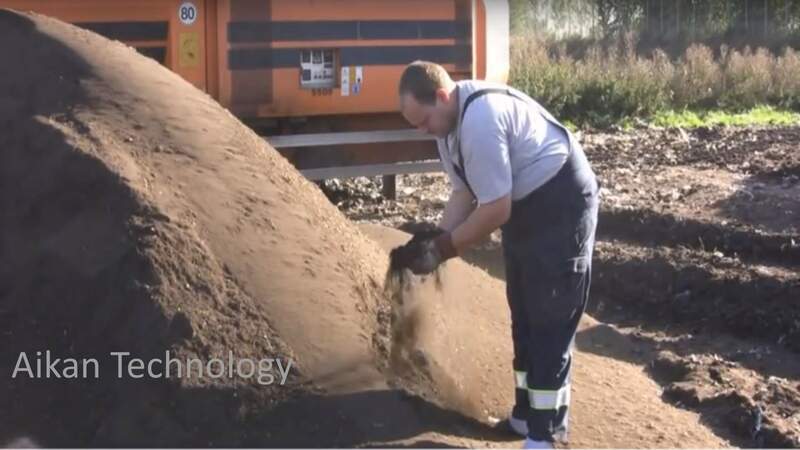 Digestate separated fibre could potentially be used as a feedstock for the composting process from which compost teas are produced. So, for use in making compost teas is another of our listed uses for biogas digestate. Digestate may find it hard to compete with animal manures as the N and C were less available. However, there is a large market and the mushroom industry may actually be the largest user of composted organics in the UK. Vanderhaak biogas, via YouTube Creative Commons Licence. Separated liquor would be more suitable than digestate fibre due to greater ease of infiltration into the soil giving more efficient use of nutrients. However, supplemental P and K would be required so digestate liquor is not ideally suited to this purpose. Demand can be anticipated for digestate fertilisers, compost and some mulch in ‘urban forestry’ or tree planting for landscape and amenity purposes, notably on brownfield land. There is potential for composted separated digestate fibre to be used as a bedding material in publicly owned parks and gardens and for mulching trees. Separated liquor may be useful as a turf fertiliser, subject to considerations regarding odour. This article (and the two videos) are based upon a WRAP Report on digestate, which is available from WRAP here. 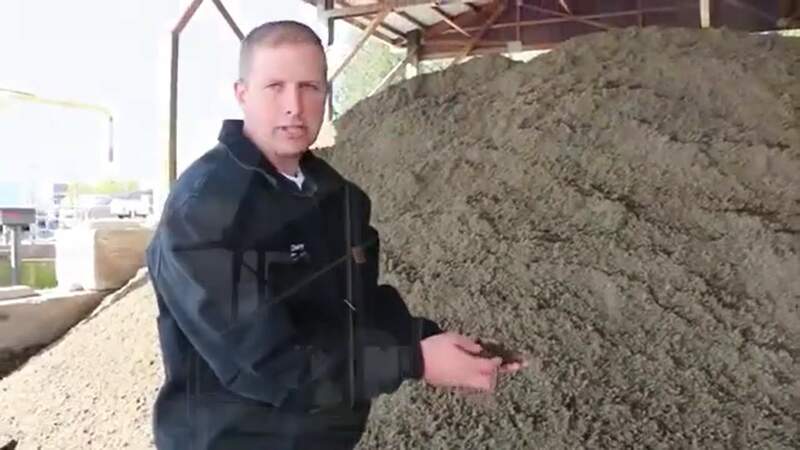 This is the second part of our video and article, so keep reading for the final “8 uses of biogas digestate which you probably never heard of”, and as stated in the last video, attributions to companies shown in images and video clips refer to the copyright ownership of the CC content, and does not indicate endorsement of the content of the video. While use is possible for digestate, this not a likely use, because it is unlikely that fertilisers containing digestate could be certified as organic, due requirements for the complete absence of non-GM ingredients. A number of technologies exist to extract nutrients from digestate, and Struvite Recovery in particular can be viable, and produces a high-value fertiliser. A Swedish technology developed to treat horse manure can also treat digestate. This dewatering and nutrient extraction process, produces biomass fuel pellets and biofertiliser pellets. The value as fuel has been quoted in the £80-£120 per tonne, plus biofertiliser £80-£150 per tonne. A potential method of nutrient extraction from organic wastes is the production of proteinaceous biomass by cultivating algae in engineered ponds. Harvested algal biomass is a high-grade protein which can be used as an animal feed, or as a slow-release fertiliser. 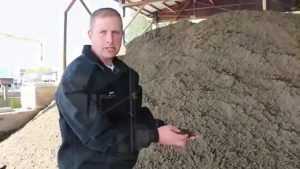 Researchers at Michegan State University are developing construction materials from dried manure fibres of anaerobically digested animal manure. They are working to develop medium density fibreboards (MDF) and wood-plastic composites (WPC). Bioethanol is the primary fuel used as a petrol replacement for road transport vehicles and is produced by sugar formation. The major source of sugar for bioethanol production has until now been from energy crops, but this use of crops is being outlawed by EU legislation. Waste biomass, including digestate fibre, is a source of cellulose, cellulose, and hemicellulose and other organic materials that can be used as a low cost feedstock for enzymic hydrolysis to produce sugar, for subsequent fermentation to bioethanol. Recent research shows digestate is a better biomass source than switchgrass which is a common feedstock used currently. While use is possible for digestate, there is little potential to produce biodiesel from digestate. Digestate would be disadvantaged by its relatively low C:N ratio, as a basic requirement is a high C:N ratio of about 100, which is not met by digestate. Digestate fibre dried, and pelletised can be used as a solid fuel. Dried in a drum-dryer using waste heat from biogas production, to 80-85% dry matter this can be a net fuel saver, when there is no better use for the AD plant heat. This might be a useful option for digestate in hot dry climates where digestate can be left to dry in the summer sun. Yes – even more surprisingly, digestate may be useful to the production of sustainable Biopesticides! Replacing chemical insecticides with biological agents for pest control is considered desirable to improve environmental quality, food safety, human and animal health. Here again digestate may have a role to play as it seems that there may be potential to produce biopesticides from anaerobically digested food and farm waste. This article (and the two videos) are based upon a WRAP Report on digestate, which is available from WRAP here, and WRAP has provided a very thorough report. We hope that by providing these videos we have helped the broaden the thought process of our readers to see the possibilities that biogas digestate presents. However, for most of these ideas a substantial amount of further research would be needed, and for some it would be necessary in investing in pilot studies and prototype designs to prove the concept. Probably the easiest digestate sales option has in the past been for biogas plant operators to choose from options 1 to 3, above, subject to compliance with all regulatory requirements being achieved and market the AD plant’s products into the home garden, and horticultural (non-food crop use), sectors. how much does it cost to set-up biogas power plant? These are the very many uses for digestate and I have not seen more. I have ideas now, and your writing has good meaning I am sure. Good wishes, sir. I see you have many ideas to save the nature. Here is my tip for you. Use candles periodically instead of electricity. This may seem a little drastic, but candles offer wonderful mood lighting during meals, and when you watch television, do you really need bright lights on as well? Be sure to use soy candles, however, because many paraffin-wax candles have toxins such as toluene and benzene that burn off into the air in your home. Soy candles cost a bit more, but they burn with no black soot, and they also burn right down to the end with no negative environmental impacts. 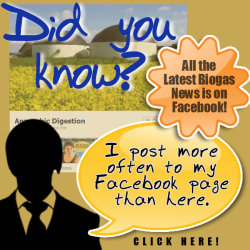 16 Uses for Biogas Digestate. Phew Mate! I was doubting there was even 1! Thanks you for the info. Digestate comes in three forms – whole (looks similar to slurry), liquid (solids removed) or fibre (similar to compost), but the dominant form for agriculture is whole. Please tell your readers that it is essential to obtain a recent nutrient analysis before deciding how to use it, the nutrient content of the product will vary between farms. My name is Peter Close I work for the Northern Ireland Environment Agency. Would you have any examples of several farms coming together on a regional scale to spread costs and focus on this material as a new product and look at distribution / delivery; say at a county level? Where can i buy digestate for my garden? Not sure. Where do you live?